Young trees like quiet different to older trees. 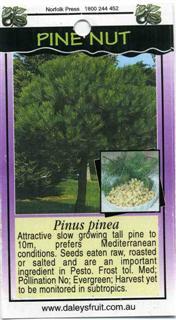 As they mature they loose that bluish leaf colour and do look more like a Pinus radiata. Yes I would prune the lower branches. They can take up to 12 yrs to bear nuts. Inspired by the Ringing Cedars books written by Vladamir Megre. 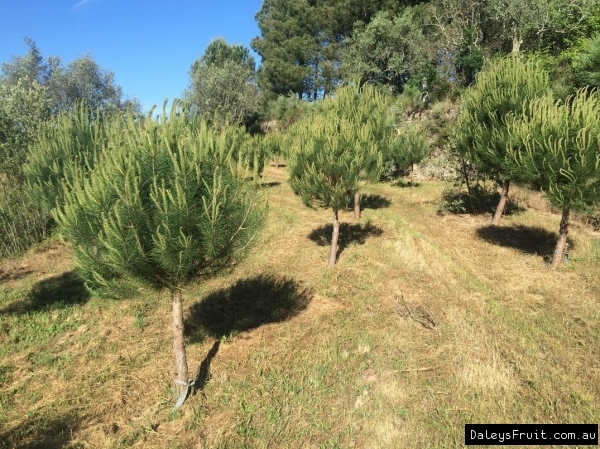 This tree will provide me with pine nuts, still a few years from harvest. 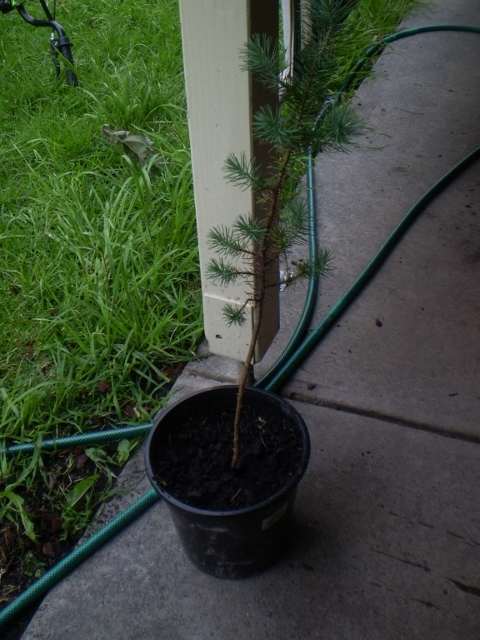 Likes Victoria's weather and survived the long hot summer, budding now August 2009. 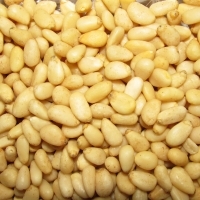 Research pine nuts, they are so good for health and skin. 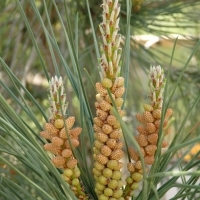 My son's teenage acne cleared after taking pine nuts in his diet for six months. 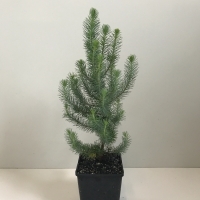 do you have any seedlings of grafted tree's ? 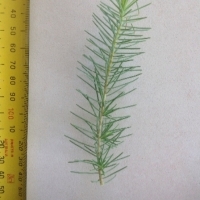 this is growing in terrible rocky/sandy soil on our farm property and is thriving. One of the only trees that survived the back to back 40 degree days over summer. no need as far as i can tell. 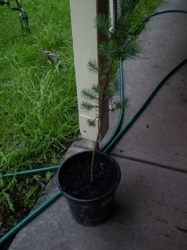 Just planted - waiting to see how well it survives in Heathcote (vic). Just starting to move again after winter months, seems to be liking our sandy soil. Got this off ebay not long ago. Still in it's pot under my front veranda, which is west facing. It's doing well.